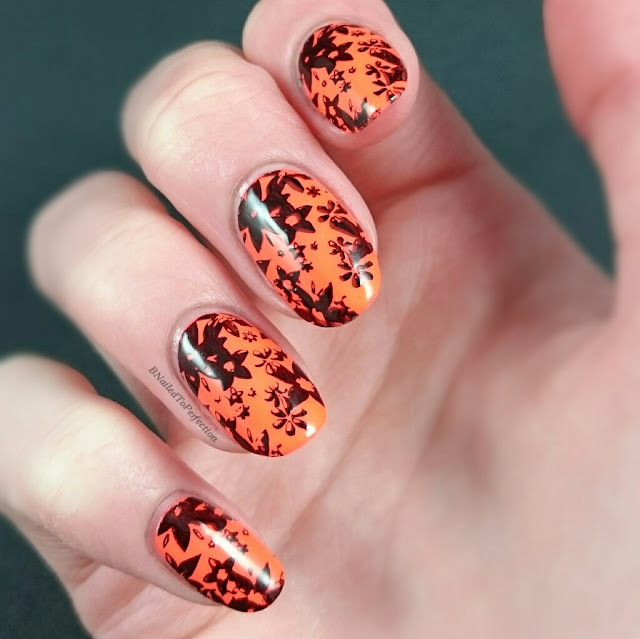 This is one bright polish! When I wore this at work some of my colleagues actually said it was very distracting as it was so bright. 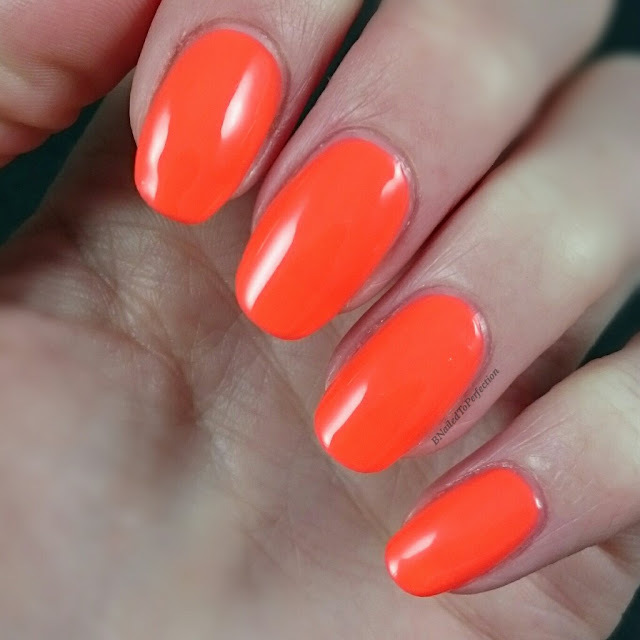 So if you are after that perfect neon for your summer holiday keep reading! 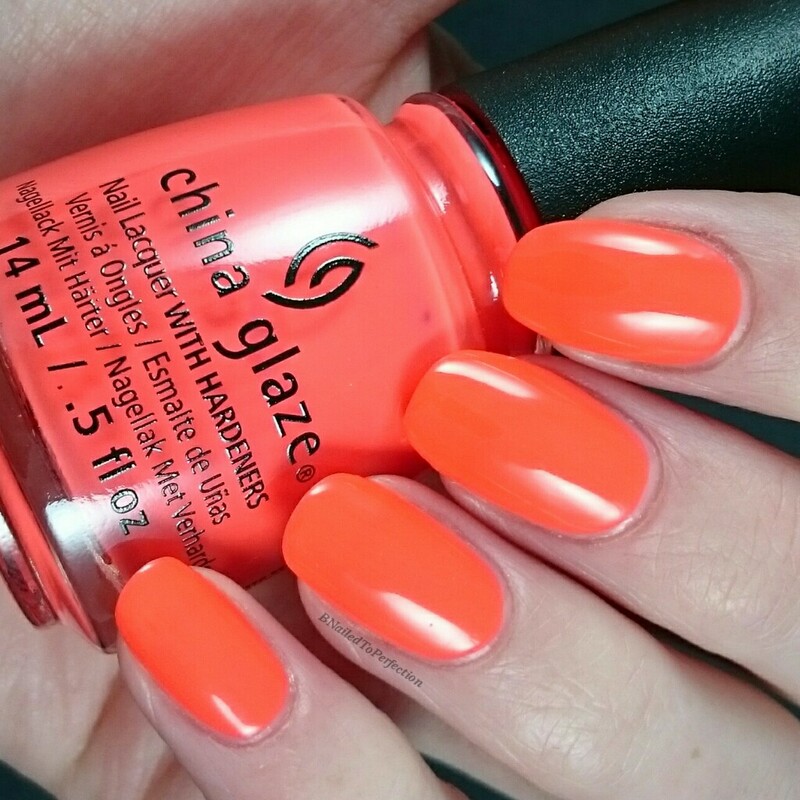 Red-y To Rave is from the China Glaze Electric Nights Summer 2015 collection. They have music and festival themed nails and they are so bright and neon! They would look very under the lights in a club. Red-y To Rave is a super bright red-orange neon. A few people have described it like a traffic cone. It is such a bright neon that it won't come across on camera. This picture is the best I could get in terms of brightness. Is it two coats with HK Girl Fast dry top coat. This picture shows the polish to be more orange. 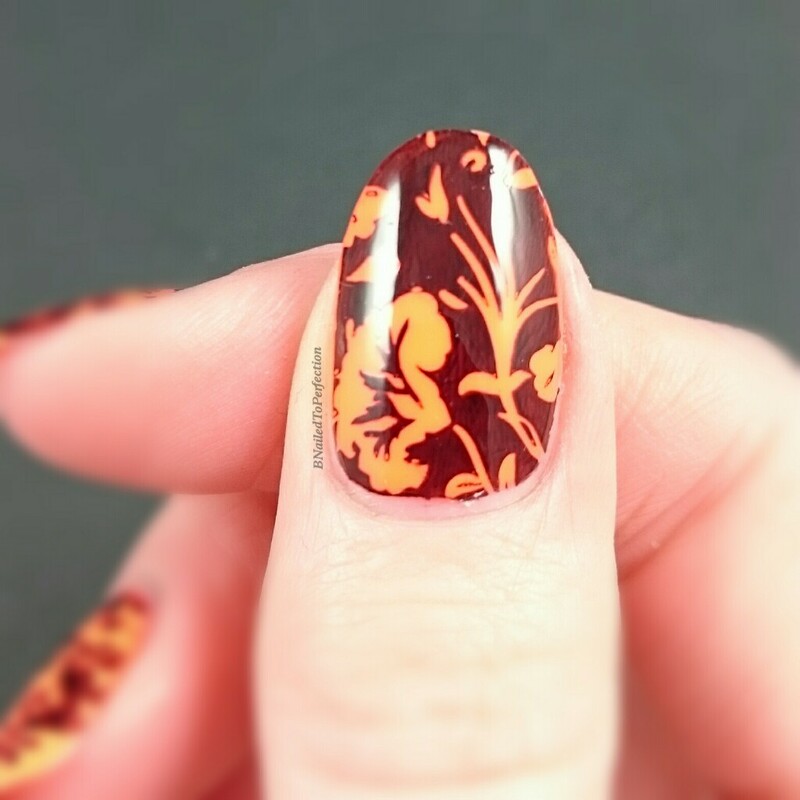 I decided to stamp the polish with some flowers from two of my MoYou plates. Pro XL 06 and Pro XL 13. After I stamped I immediately regretted it. 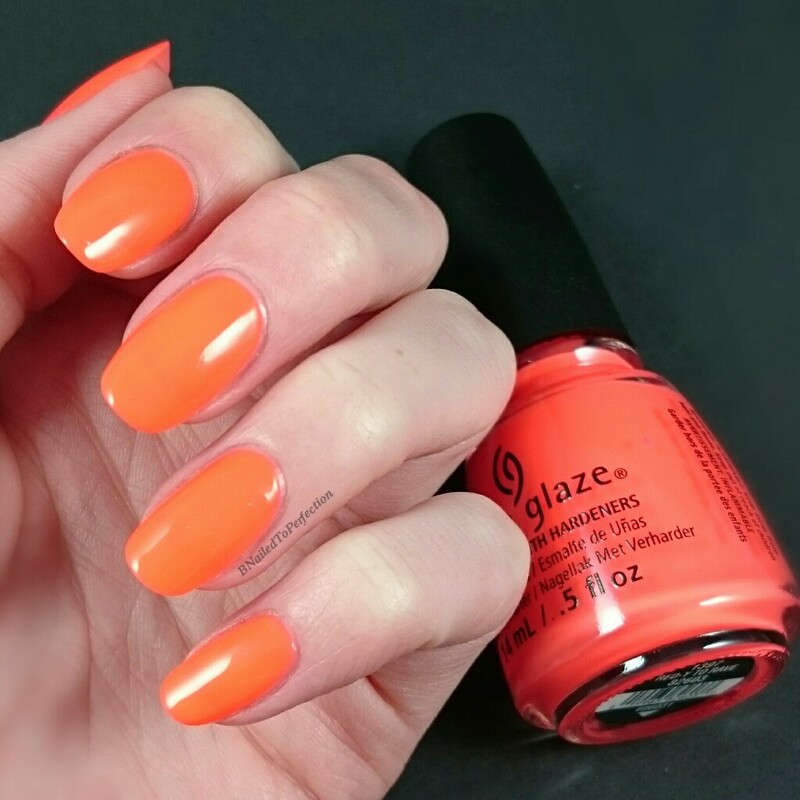 A polish this bright and beautiful shouldn't be covered up! Also my black stamping polish is crap at the moment so didn't stamp very well! I'm desperately waiting for Dashica to re-stock on black and white so I can pick some up.